Unior European manufactures sicne 1919 Unior d.d. 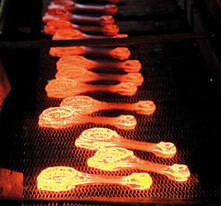 The Forge programme is our oldest programme and the basis on which Unior was built. The key activity is drop forging of steel (83%), complemented by machine processing of our own forgings (12%) and the production of sintered products (5%). We are one of the most important suppliers of forged automotive parts for the most reputable automotive anufacturers in Europe and their system suppliers. 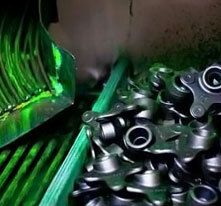 We supply them with complex forged parts for undercarriages and steering components, and we also provide pre-processed forged parts and sintered products. The certificates, testing and awards for excellence are the evidence for our quality, technical perfection, and compliance with strict safety requirements. Thanks to our history, tradition, and vision, we are today the largest manufacturer in the world of forgings for personal vehicle steering mechanisms. In other words, four out of five European cars include at least one part that was made by us. We are one of the most important suppliers of forged automotive parts for the most reputable automotive manufacturers in Europe and their system suppliers.